Political parties are private clubs with enormous power and influence over our democracy and especially our elections. They are subject to being high-jacked by extremists special interests that make up their so-called Base. Those groups provides the voters and volunteers to nominate and elect candidates. We see this power of the Base with the Religious Right social fundamentalist who dominate Conservative party politics. There are radical environmental activists who drives large parts of the Leftist agenda. Political parties alone decide who is to be eligible to become Prime Minister or Premier. They alone decide who is on offer to the citizens as voting options for MPs or MLAs. They have some accountability on who donates, how much and when. Big deal since disclosure donation levels are so small they can’t leverage undue influence that way anyway. It’s the behind closed doors special access of the Bases members that escapes lobbying disclosure laws that has real leverage. However, despite recent changes to the law on election campaign finance disclosure, the rise of American-style SuperPACs has seen special interests for labour unions and business organizations fund political influence efforts outside law. They are not acting illegally but they are bending and abusing the spirit of transparency, accountability, integrity and openness of our democracy. The old-line power politics parties also run strict discipline rules on Caucus members that make a mockery of constituency-based representative governance or democracy. When things go off the rails, parties inevitably go for internal closed-door investigations, the results of which almost never get publicly disclosed. Again Caucus Trump’s Constituency, Discipline over Disclosure, Politics over Governance. Now with hyperpartisanship and perpetual campaigning and the importation of US style dirty-tricks politics into Alberta we can only expect this to get worse. That is unless Progressives become Aggressive and use their voices, values and speak up, stand up and show up to send a strong message against this shameful decline of representative democracy being caused by the Left vs Right fight for power. 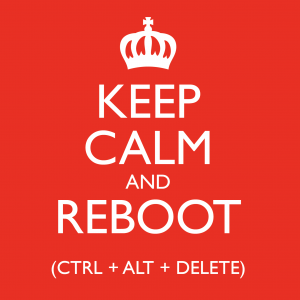 Citizens need to Reboot Alberta’s political culture. Progressives need to take back Control of the political processes. We need to create alternatives to the out-moded destructive Left vs Right options. We need to delete those Political Party practices that abuse the privileged position we have delegated to them disclose more in real time, not just to after-the-fact complaints. Lets make them and their SuperPAC supporters subject to Auditor General review and impose personal liability for Party and SuperPAC boards for any breaches of the law. In the meantime, read this. It is not even a nomination for candidacy but an internal Annual General Meeting where alleged corruption occurred on a Board of Directors election. If a Political Party treats one of their own like this, what would they do to the rest of us if they ever got to control the enormous power of government and make laws? Next Post Mr. Kenney is Getting Nervous?